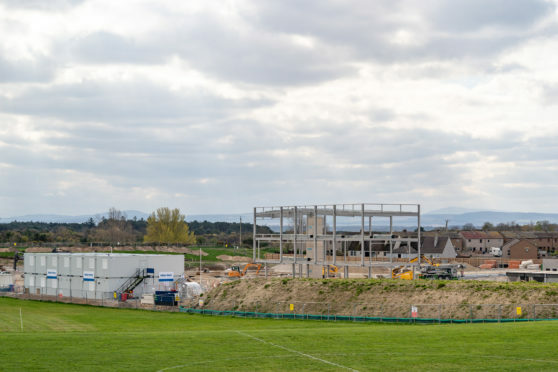 Due to be open and fit for pupils in August next year, the £42 million school project is part of the Moray Council’s bid to modernise education in the region. Contractors have been on site working since the initial preparation works began in autumn last year, with all the grounding now being finished and the lift shafts installed. The steel frame is currently being bolted together, with the progress being made visible from the road leading into the coastal town. 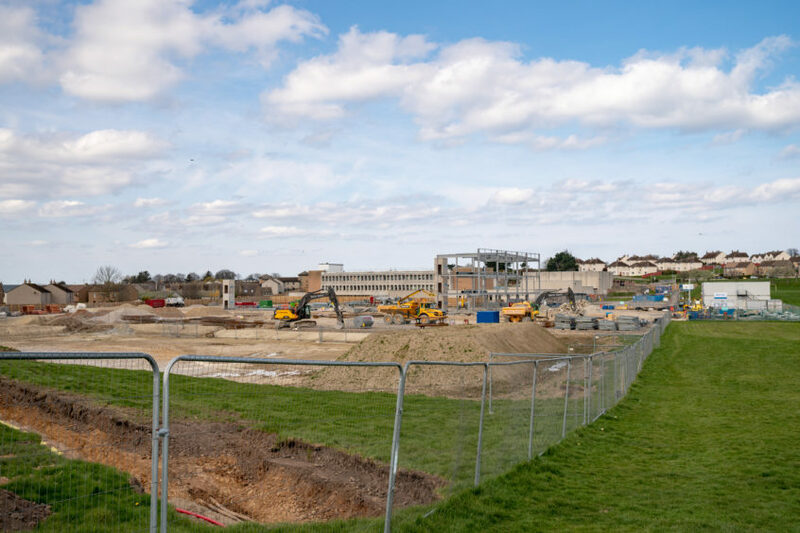 Heldon and Laich councillor John Cowe said he was pleased to see the new school coming together – currently three weeks ahead of schedule. He said: “The lift shafts are now in and construction of the steel framework started at the beginning of the week. “The team initially said they were hoping to start the steel in May so it is brilliant how it is going so far. The good weather has obviously helped. “We get monthly updates and an open day was held a few weeks ago on the site where we were given a lot of information about what was going on. The new secondary school will include facilities such as a community centre, library, swimming pool and an artificial sports pitch. 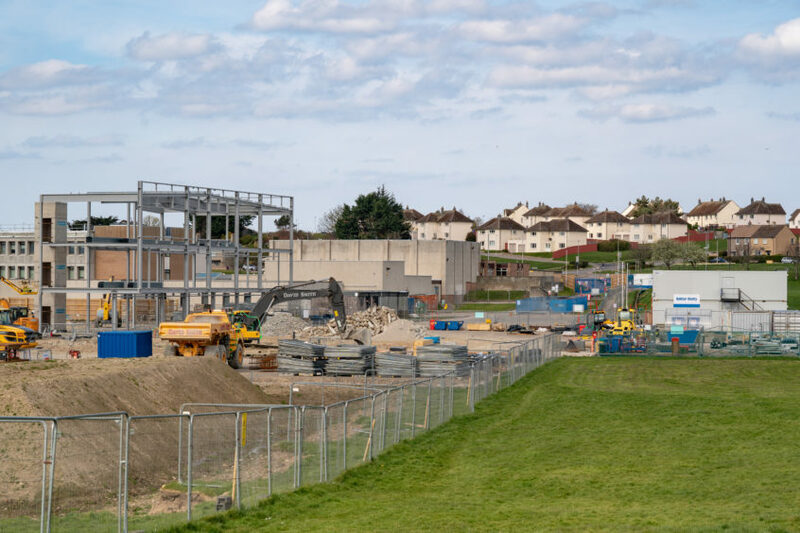 Though ahead of schedule as far as the current timetable is concerned, the project has been much delayed due to concerns about sandy soil at the site and repeated votes within the council chambers in connection with plans for a swimming pool and its financial implications. 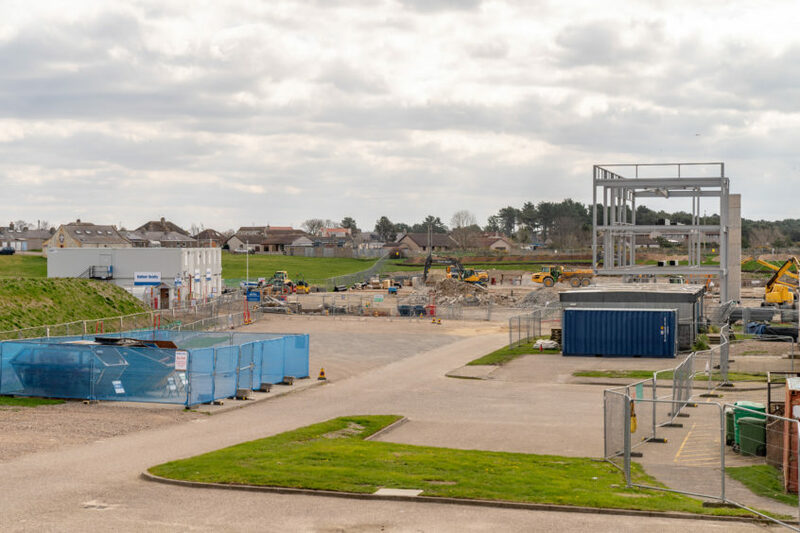 Now, the construction is running smoothly, with hopes that the newly expanded school which will now hold 800 pupils, becomes the community place that Lossiemouth needs. Mr Cowe said: “It’s coming on well, with people being able to see tangible evidence that it is on its way. 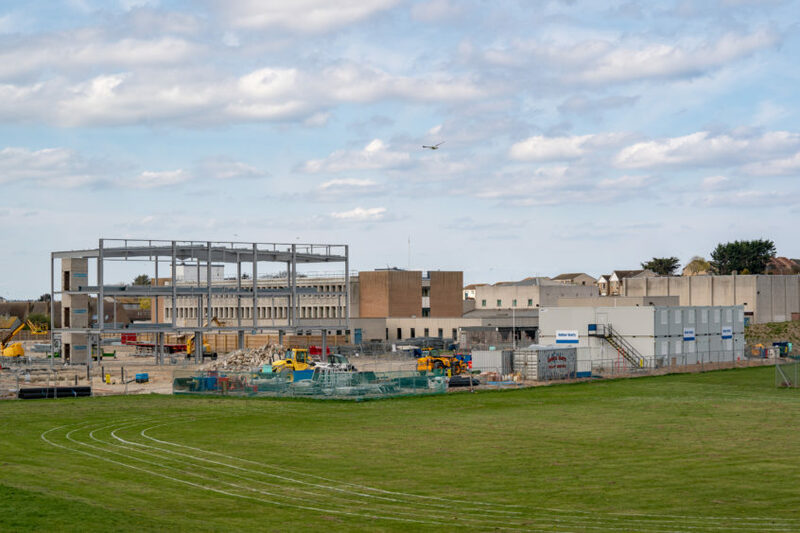 “I’m delighted to see that with everything going on in Lossiemouth in the future, this will be there to maintain all the pupils that will arrive here.